Puerto del Capitán is a villa project consisting of 57 beautiful plots in a stunning hillside position, offering views over the Mediterranean Sea, a lush golf course and spectacular mountain views. 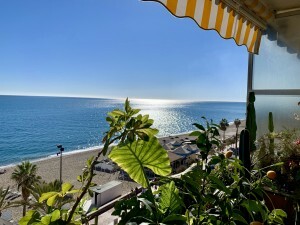 Located on the Spanish Costa del Sol, El Capitán enjoys the best of all that the area has to offer; over 50 courses within driving distance and close proximity to the famous Puerto Banus with its fine dining, nightlife, cosmopolitan lifestyle and shopping. Every villa is designed by the architect and the client together and will therefore be unique. Even during the construction period, the customer will be involved when choosing materials, fittings, the kitchen and bathroom designs and colours. The current villas being released to the market offer a choice of location within El Capitan with various orientation and choices of golf, mountain or sea views. A number of villas are being constructed in order to offer a client with an immediate occupation. The remaining plots in phase 1 offer the opportunity for every client to design their own custom designed villa from scratch, with great flexibility for personal choice in order to get the home exactly as they want from the kitchen to the type of swimming pool. The following selection is currently for sale. A truly gorgeous modern house set on plot number 32 in El Capitan. The plot is south facing and enjoys from excellent sea views. Total built size is 573 m2 and the plot is 1079 m2. Construction is due to start soon. 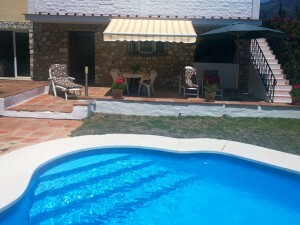 This modern 4 bedroom villa is located on plot nr 20 in El Capitan. 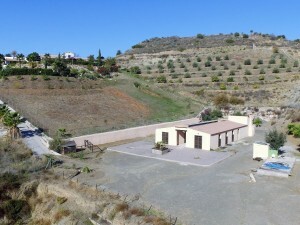 Enjoying a west orientation, the plot offers sea views as well as views towards the Los Arqueros golf course. Total built size is 513 m2 and the plot is 1055 m2. Construction has started. A spectacular modern 4 bedroom villa in El Capitan. Plot nr 40 enjoys from a southern orientation and offers panoramic sea views. Construction has started. Total built size is 730 m2 and the plot is 1300 m2. This is an example of a concept 3 bedroom villa suited for plot nr 8 in El Capitan. From its western orientation, the plot enjoys views toward the Los Arqueros golf course. Total built size is 426 m2 and the plot is 1039 m2. An example of a concept 3 bedroom house designed for plot nr 6. The west-facing plot is overlooking the Los Arqueros golf course. Total built size is 365 m2 and the plot is 1036 m2.